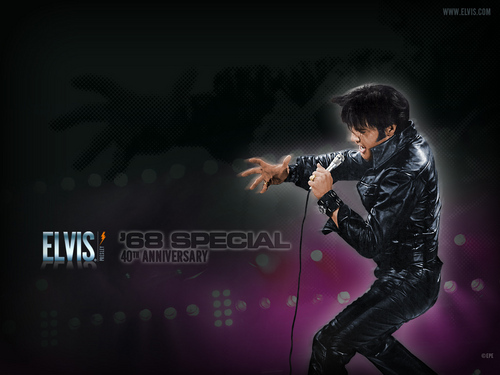 Elvis Comeback Special 40th Aniversary Wallpaper. elvis comeback 1968 special 40th aniversary wallpaper. HD Wallpaper and background images in the Elvis Presley club tagged: elvis comeback special 68 image 40th aniversary wallper. This Elvis Presley wallpaper contains concert. Awesome shot of him, he looks great in that leather suit! I love him in that leather suit !